The second Feats of Poetic Strength went off without a hitch! 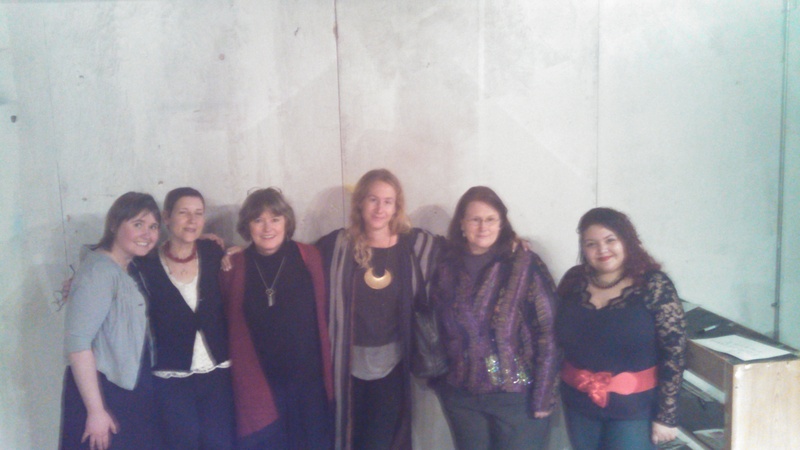 Thank you to all the readers, audience members (including Feats of Poetic Strength Alumna, Hila Ratzabi), Gus from 1fiftyone gallery for hosting us, and Girls Rock Philly for the PA rental. 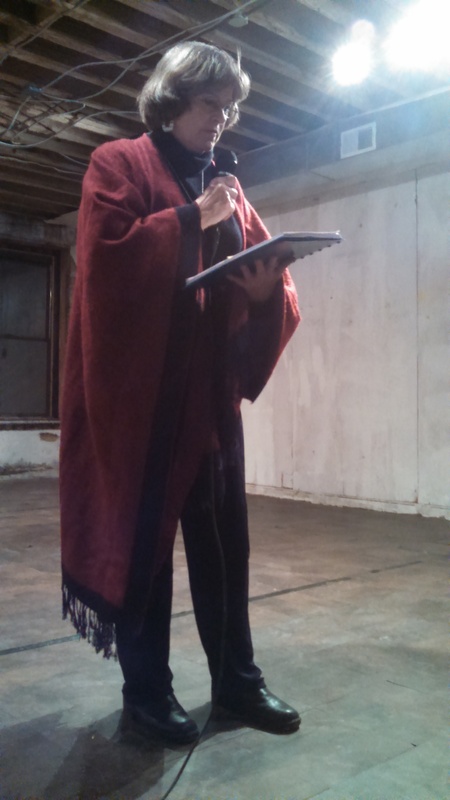 Before photos, I am going to plug Volume III of Feats of Poetic Strength, please RSVP! It features readers K.T. Landon, MaryAnn Miller, Violet LeVoit, Elizabeth Hoover, Elizabeth Langemak, and Sheila McMullin, and is sure to be as powerful as the first and second. It is also a fundraiser for Permanent Wave Philly, a great feminist collective of which I am a part. 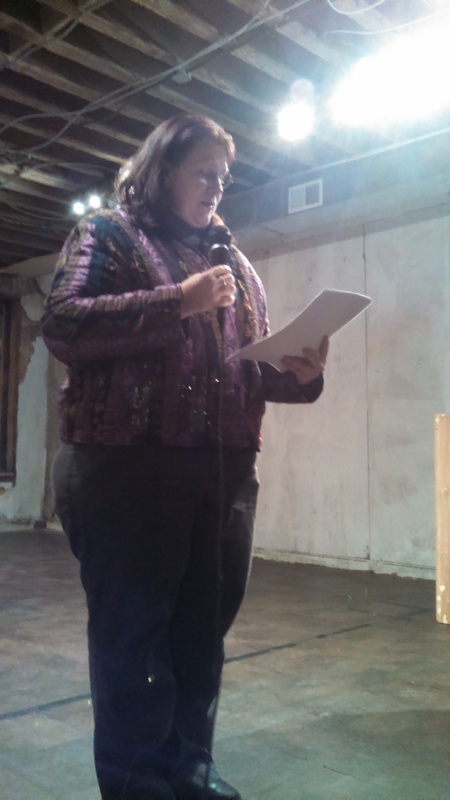 Liz Solms, our first reader, took us on a volley between Jamaica and Philadelphia. Lovely words. 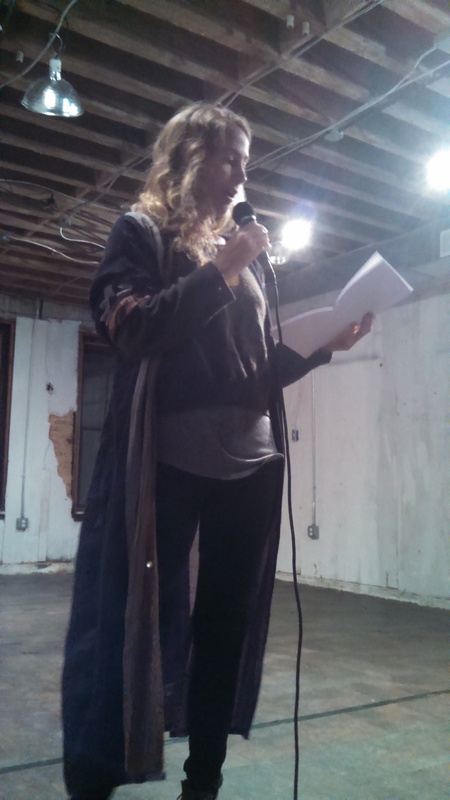 Elliott BatTzedek (who blogs at thisfrenzy) was a hoot, particularly her poem pertaining to peaches. 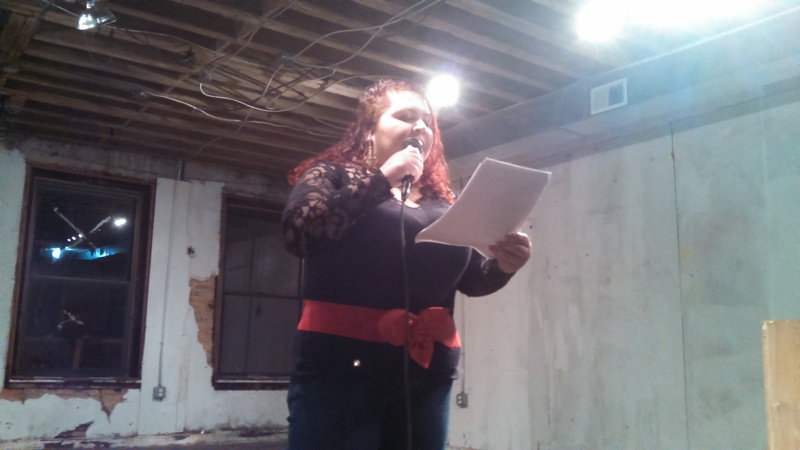 Ysabel Y. Gonzalez was a great performer who had the audience clapping between every poem. Jennifer Hook read poems from her book “This is How He Left Me,” and took us on an emotional journey recounting her life after her husband’s passing. 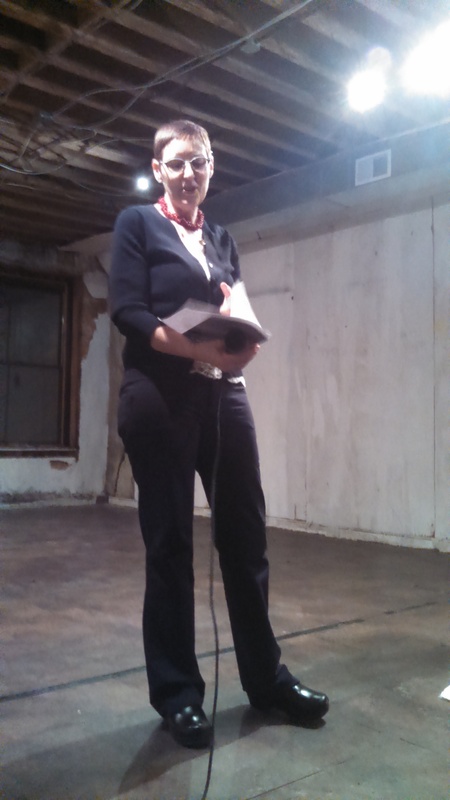 Catherine Bancroft finished up the night with her hilarious and moving poems, full of imaginative leaps. 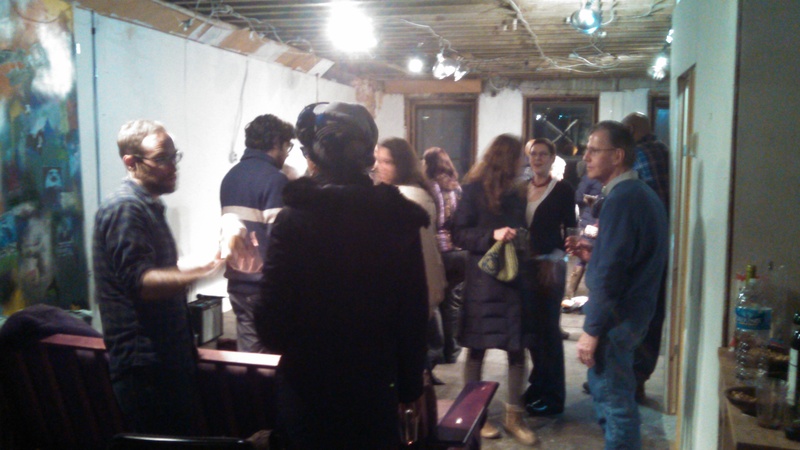 The crowd after the reading discussing the work. This gives you an idea of how cool the space was! The readers line up for the mug shot. And that’s me on the left! 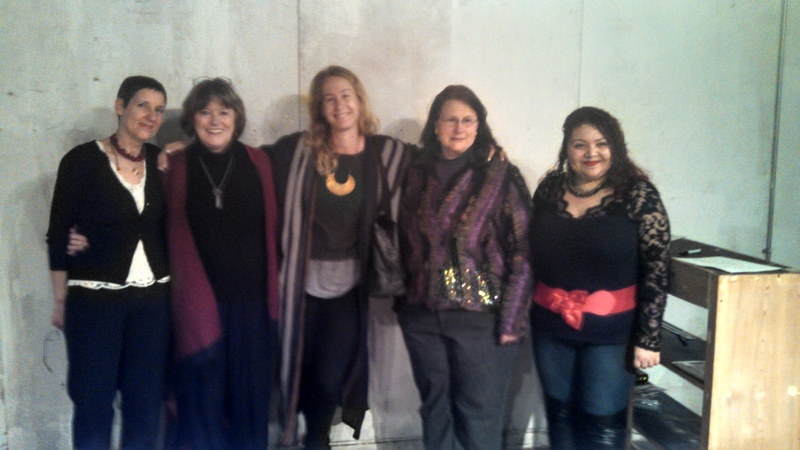 Thank you again to everyone, it was wonderful!! !